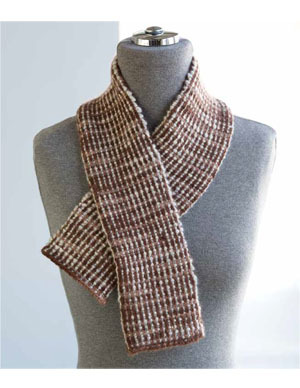 The intrigueing rib knittng pattern by Cynthia A. Crescenzo in the corrugated rib scarf from One + One creates a fabric that's double thick, resulting in an incredibly warm yet lightweight scarf with a woven look. It's all about contrasting color and stitch definition in this scarf that combines contrasting colors of Artyarns fabulous worsted weight Cashmere 5. 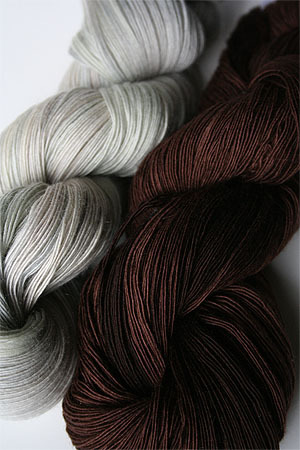 (yes, we KNOW it looks like a laceweight - it's not. 5 plies carry along in one worsted weight strand - trust us, it works).